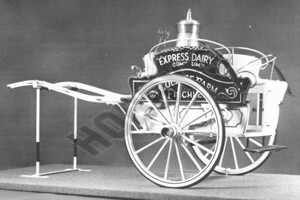 These plans are of a 'Express Dairy' float. Details of the churns,jugs and other fittings are given. 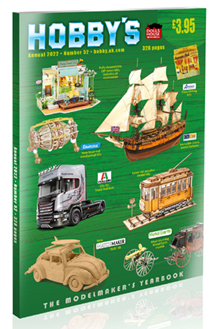 The basic structure of this vehicle is simple, but a lot of work can be put into the fittings and decoration. The colours are cream and navy blue. Photographs are included on the plans. Also available in 1/8th scale.